DAVID LE/Staff photo. 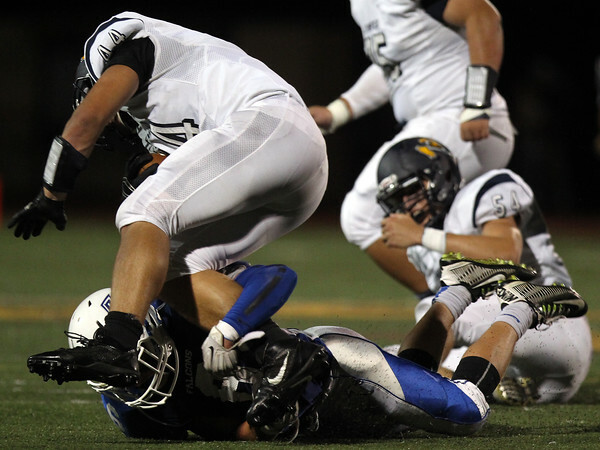 Danvers senior captain Danny Lynch breaks down and drags down Lynnfield quarterback Jake McHugh by the ankles. 9/19/15.